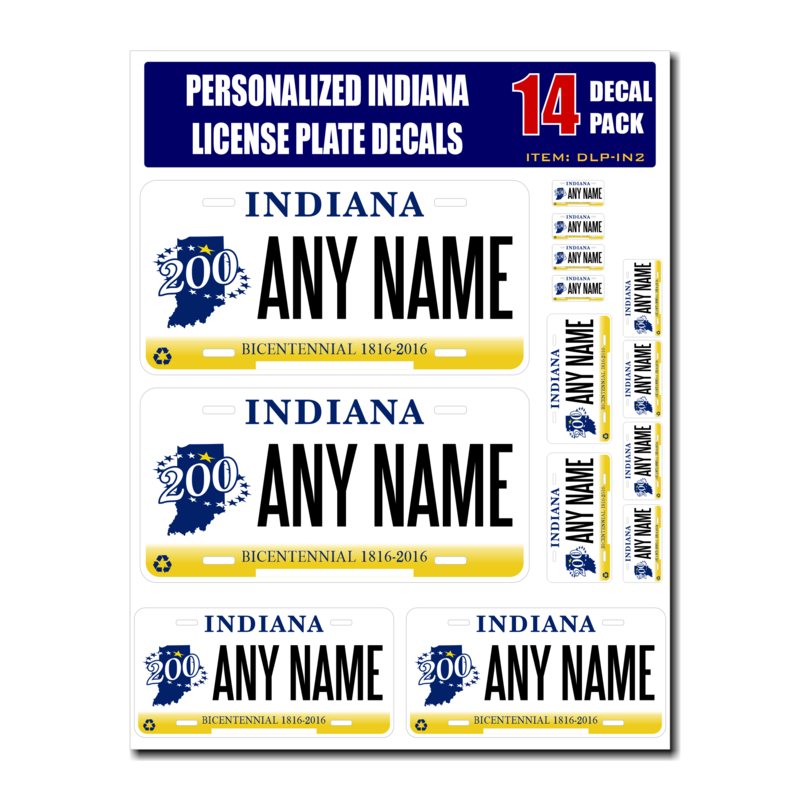 Personalized Indiana License Plate Decals / Stickers. Give us the name or text you want printed on your custom decals and we will create you custom decal sheet with 14 custom decals. Each decal is contour cut out. 1 name or text per sheet. We cannot split the sheet with different names. 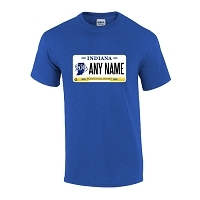 Sold only as a set of 14 identical personalized decals. Professional imaging for lasting quality. We use a 6 mil thick professional vinyl and print with durable eco-solvent inks. The thicker vinyl material makes it easier to apply your decal. Suitable for any clean smooth surface, great for indoor or outdoor use. These decals are great for kids who want to sticker up their notebooks, lockers etc. Great for hobbyists as well. Great for creating life like models.